Are you looking for Alaska Secretary of State Apostille/ AK Lieutenant Governor document Certification Services?. Are you tired of paying overpriced Apostille Service fees? DC apostille can help you get your US document Apostille from the Alaska Secretary of State/ Lieutenant Governor Office of in Juneau, AK. Just follow our personal free guide on how to obtain Alaska Secretary of State Apostille by yourself. Alaskan Officials, Vital Records, Courts or official State documents DO NOT require notarization. 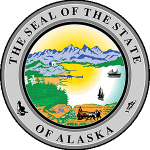 Alaska Secretary of State Apostille processing Time:2 Business Days (Without the mailing Time). Fill Alaska Secretary of State Order Form for Credit Card Payment (Visa & Master Only). OR, Make your checks payable to “The State of Alaska”. Prepare your prepaid return airway ticket- Alaska Secretary of State Apostille Does NOT recommend using DHL. You may obtain the Alaska Secretary of State Apostille / Certification if your document is one of the following type of documents. Certificate of Analysis is a legal document, issued by the appropriate governmental authority, to testify the quality of products being exported across U.S. borders such as pharmaceutical products, animal and human drugs. Get Alaska Secretary of State Apostille now. Marriage License/ Certificate is a legal document, issued either by the local church or Health Department and authorizing a couple to marry. It must contain the couple names, place and date of marriage, and who executed the marriage. Get Alaska Secretary of State Apostille now. Alaska Apostille for Federal Documents from the US Department of State in Washington DC. Get regular Alaska Apostille Service for federal Documents by Yourself- Click Here.